The European Commission is an organization which has come to fascinate or repulse a range of national politicians, journalists and social scientists. 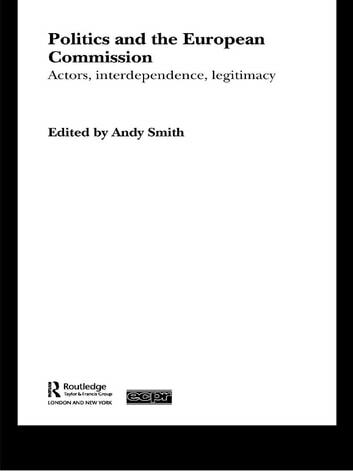 In contrast to the prevailing image of the Commission as a 'bureaucrat's paradise', however, and by using the results of original research, this book deliberately sets out to investigate this organization's relationship to politics. It does so first by developing a variety of case-studies (health, development aid, preparations for Eastern enlargement, etc.) as a means of studying the relationships, networks and interdependencies which link commissioners and Commission officials to national politicians, civil servants and interest groups. Second, by looking in detail at how the Commission publicizes its work, notably through producing public information and liaising with the media, fresh light is shone upon the complex question of the Commission's legitimacy. Politics and the European Commission provides a framework for generating new information about, and interpretations of, the power struggles at the heart of the EU.